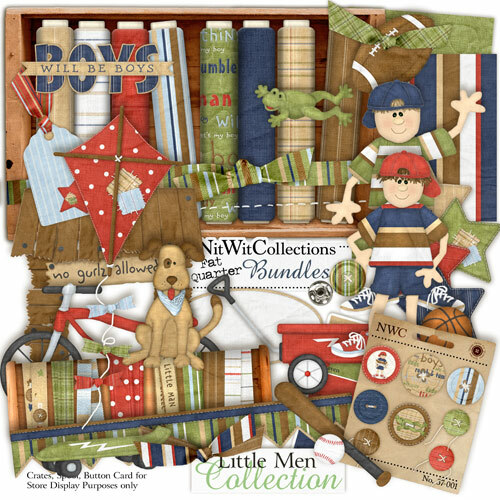 My "Little Men" Collection is yet another in this series! What??? Another boy kit??? Yes you're not seeing things, peeps! I've gone and made myself another boy themed kit. What can I say? I gots a new nephew! hahahahaha This kit is full of all things that boys love.... dirt, noise, and smells! hahahahaha Okay not really but it does have the odd frog, skateboard, bike and even a club house in there! Hope it helps you make some great layouts for the little man in your life! Let's hear it for the boys, hey?